The sci-fi veteran talks about the evolution of Richard Woolsey, who eventually emerged as a leader of the Atlantis expedition. 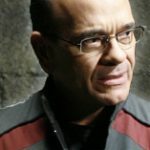 Robert Picardo talks about his final Stargate appearance in SGU, and where his career is currently taking him. Buy the psychological thriller starring Stargate's Richard Woolsey, or rent it online for just $2.99.  David Hewlett and Robert Picardo discuss the Syfy original movie Morlocks. 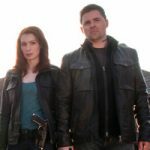 The Stargate actors will appear in Monsterwolf and Red: Werewolf Hunter later this month. An exclusive chat with the actor yields small clues about Rodney McKay's brush with Destiny! 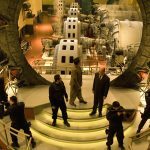 Robert Picardo talks about Woolsey and his favorite episode from Atlantis's final season. 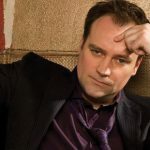 Rodney McKay and Richard Woolsey are the Atlantis faces set to appear in Season Two of Stargate Universe, according to Comic-Con reports. "Woolsey" actor Robert Picardo sits down with Moviehole.net (text interview). Paul McGillion, Robert Picardo and Joe Flanigan on stage in Vancouver! 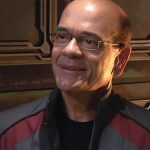 "Richard Woolsey" actor Robert Picardo talks with SciFiPulse.net. 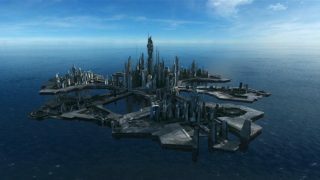 GateWorld sits down with the new leader of Atlantis!